According to a new study released by GFK global, global smartphone sales has reached $522B in 2018. This figure is 5% higher than last year despite a 3% decline in demand for smartphones compared to 2017. Smartphones represent the majority of the total spend on the global TCG market in 2018 and is expected to grow by 1% in 2019. 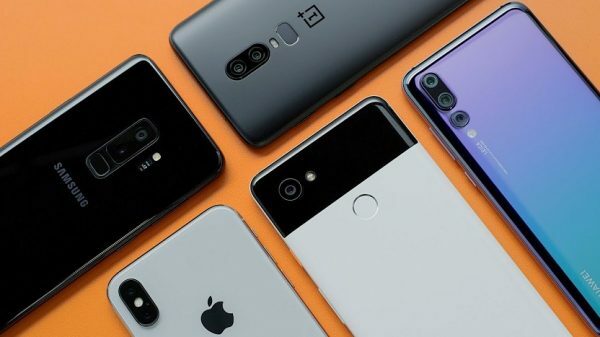 Despite the decline in demand, premium prices is fueling growth for smartphones as 12% of the total smartphones sold in 2018 were priced at more than $800 , while smartphones priced in the $150-400 range continues to dominate the total smartphone sales with a 46% share. GfK’s Consumer Life Study also shows that consumer trends are changing, buyers are willing to pay premium prices for products, as according to the study, users now “prefer to own fewer but higher quality items”, while they also “value experiences more than possessions”. Users are also willing to spend more on apps for their smartphones now as app spending reached an all time high in the app store last year. However, whether it is a bigger memory size, larger screen size or a better camera, these kinds of innovations “does not ignite consumers’ imagination and stimulate demand” according to the study. As premium smartphones also means having higher specs, the increase in demand for mobile gaming has also played a part for the growing demand for premium smartphones, and it’s still expected to grow higher as more manufacturers are releasing new smartphone models targeted towards mobile gamers.